used to improve cosmetic appearance, including collagen injections, Botox or microdermabrasion's. Light penetrates human tissue to a depth of 8-10mm, beneficial for the treatment of: Wrinkles , Cellulite, Age Spots, Broken Capillaries, Wounds, Cuts, Scars. This is a non invasions treatment with non reported side effects. 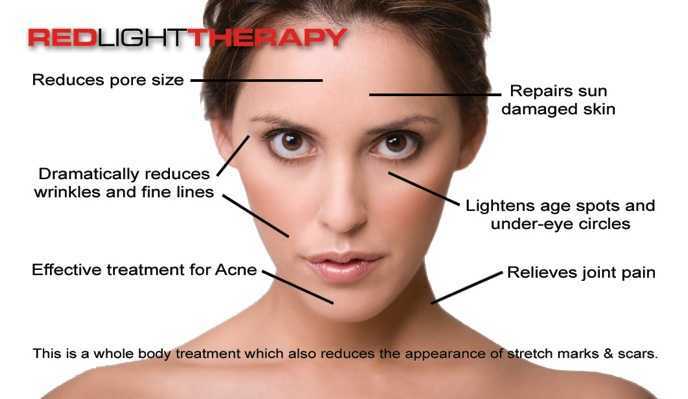 This treatment is a 6 week programme of 2 times 15 minute sessions per week. 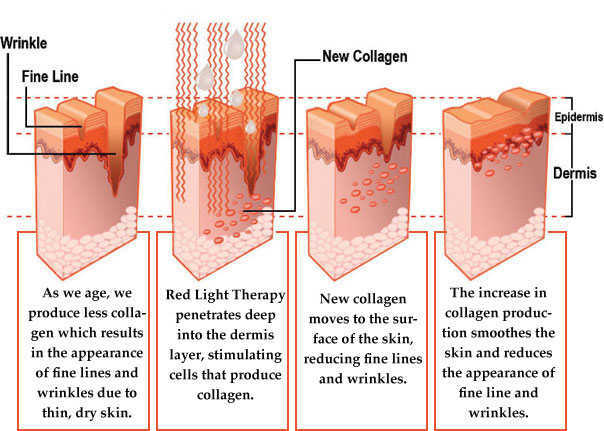 The treatment comes with a Collagen skin kit of before and after treatment creams.